(1573-1599). 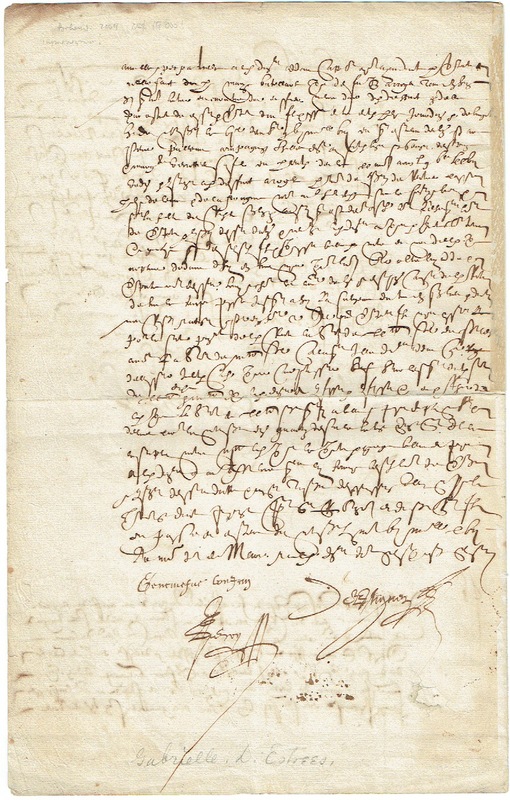 Document signed ("G Destrees"). no place. 4 pp recto and verso, folio (conjoined leaves with guard). 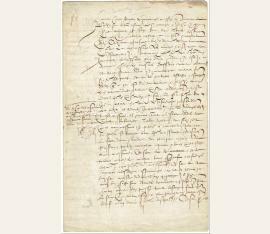 Extremely rare document signed by the mistress of Henry IV and concerning renovations to the chateau he gave to her. Gabrielle d'Estrees died aged 26 or 27 from eclampsia just a month after Henry IV promised to marry her, having obtained papal dispensation for an annulment to his first wife. 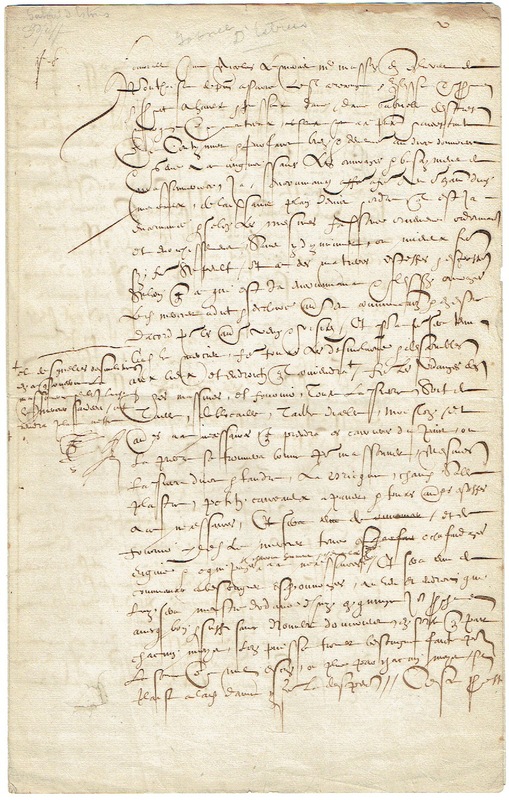 The present document dates from the middle of their relationship, a few years after Gabrielle had persuaded him to renounce Protestantism and so be able to accede to the throne of France. Gabrielle's children by Henry IV were recognized in the Parlement de Paris and she was an important agent in the Catholic League. The present document concerns renovations to Gabrielle's new home, the Chateau of Montceaux-lès-Meaux. The estate had been acquired by Henri II first for his mother Catherine de Médicis in 1555, the chateau being built by Philibert Delorme and decorated by Primaticcio and others. Henri IV gave it to his beloved Gabrielle d'Estrées on March 27, 1596, upon creating her marquise de Monceaux. It was later to pass to Marie de Médicis and to be demolished during the Revolution..